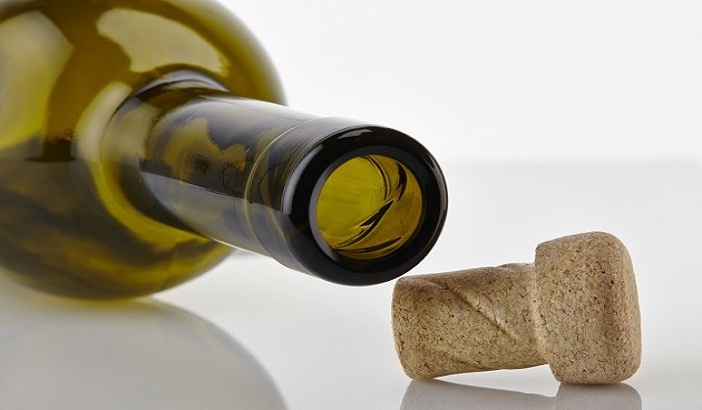 Cork is a material used as stoppers for majority of the bottle, especially wine bottles. Cork oak plantations are typical species that can survive in the western Mediterranean region for an average of 200 years. Cork oak is a material that is 100% natural, recyclable, reusable and renewable. Cork oak is harvested, in late spring or summer (middle of May to the middle of August). The raw material for cork products is harvested from the cork oak tree. Cork oak is the only plant species on Earth capable of producing corks in a sustainable manner and quality. Therefore, it is a unique industry in the world that helps in the preservation of the flora and fauna. Cork oak trees possess voluminous bark, good longevity of wood and an enormous capacity for regeneration. The outer bark of cork oak tree is homogeneous, formed by an impermeable, elastic tissue with thermal insulating properties. Cork is made up of bark which is removed without damaging the tree, enabling it to be regenerated. Cork oak tree is considered as the most endangered and emblematic species in the world. The cork oak bark renews itself after harvesting and no trees are cut down. Cork oak forests are home to endangered species and are being protected and valued due to the centuries old demand for corks in the wine industry. However, the increasingly popular use of alternative bottle stoppers has threatened the environment and economically sustainable industry that leaves cork forests unprotected. Cork oak forests are found in Portugal, Spain, Algeria, Morocco, Italy, Tunisia, and France. The harvesting of cork oak is the finest examples of traditional and sustainable land use. Cork oak stopper is a narrowing stopper which is used to plug wine, spirit bottles, and or lab flask, to avoid any leakage. These stoppers are moisture resistant and are also chemically inert. Various cork stoppers range from premium natural cork, agglomerated cork or the mixtures of two or more materials which are manufactured based on the requirement. The natural cork oak stoppers are the best stoppers for ageing of premium wines. These stoppers allow the right amount of oxygen in contact with wines, thereby, adding the desired flavour and aroma to the wines. On the basis of product type, cork oak stoppers market in Asia is segmented into natural cork stopper, colmated cork stoppers, champagne wine cork stoppers, sparkling wine cork stoppers, agglomerated cork stoppers, technical cork stoppers, bar top cork stoppers, and multi-Piece cork stoppers. Cork oak stoppers market in Asia is used for various applications such as fluids, gels and others. Geographically, cork oak stoppers market in Asia is spread across China, India, Korea, Japan and other regions. The leading players in cork oak stoppers market in Asia are Nomacorc, Cork Supply, Corticeira Amorim, MaSilva, Lafitte, Rich Xiberta, Portocork America, WidgetCo and Jelinek Cork Group. Cork oak consists of properties such as high buoyancy, elasticity, and flame retardant property. Cork oak material is impermeable and moisture resistant; thus, cork oak stoppers are employed in the storage of acids in laboratories. Additionally, the rise in investments in research and developments is boosting the cork oak stoppers market in Asia. Modernization, rising disposable income, emerging economies and industrialization are encouraging the beverage industry which is developing interests in wine consumption coupled with demand for cork oak stoppers. The increasing consumption of wines and beverages is propelling the growth in cork oak stoppers in Asia and will continue over the next few years.